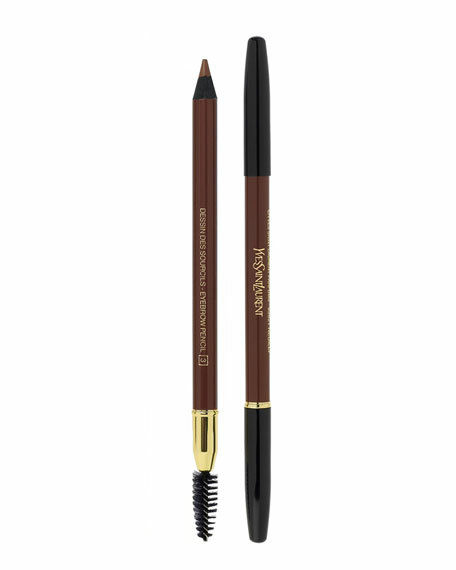 The ultimate eye makeup essential, this deluxe dual-ended precision pencil with companion brush perfectly shapes, shades and defines brows for a beautifully natural look. The velvety smooth formula enriched with Coconut Oil glides on effortlessly for gorgeously groomed brows. Slips conveniently into any makeup bag for touch ups on-the-go.